Diamond 7 : Derived from the top of the range Diamond 8 uses a new technology to differentiated geometry for improved dynamics and focus with exclusive technology VRC 4 (4 times copper cooked no other manufacturer uses this unique machining). Spectacular Design designed by studio Ciobotaru Design. Approaches the great features of the top of the range, but with a price extremely competitive and incredible for quality to product. 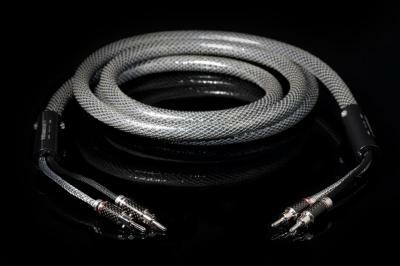 With this cable you are sure to go to a product of very high band at a fair price. Technical characteristics:: External jacket mm. 16 ; Number of Cond. 8 ; Cond. Copper (4VRC); Capacity max. 68 Pf/m. ; Conductor Resistance: 7,98 Ohm/km.